FHA home loans have a set of rules and guidelines which participating lenders need to follow in order for loans to be insured by the US government. These rules are collected in a single reference book called HUD 4000.1. As with conventional mortgages, FHA home loans have a set of rules and guidelines which participating lenders need to follow in order to be insured by the US government. These rules are collected in a single reference book called HUD 4000.1, also known as the Single Family Housing Policy Handbook (SF Handbook). 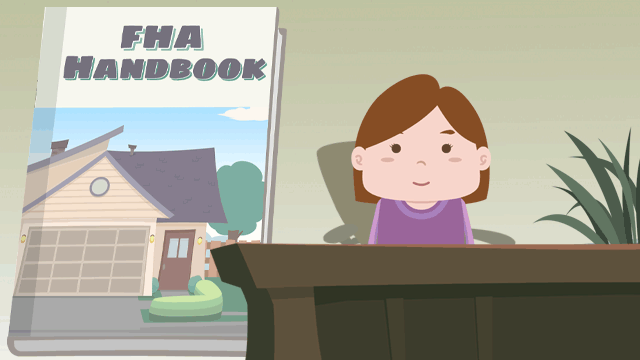 The SF Handbook has the rules for FHA loans, such as “forward mortgages,” for borrowers who wish to buy a house, condo, townhome, manufactured home, etc. The Handbook also has guidelines for other mortgage items such as FHA refinance loans, and FHA “reverse mortgages” for qualified borrowers age 62 or older. As a homebuyer shopping for mortgages, you will need to meet a number of requirements to qualify for a home loan. Many of these guidelines are outlined in HUD 4000.1 and are used as a reference for FHA’s minimum credit standards, appraisal requirements, and much more. However, it is important to know that state and federal law, lender standards, and other regulations may also apply in addition to those in the FHA Handbook.